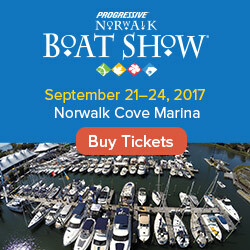 A new website - Boat Name Gear - launched last month, offering boaters high quality shirts and caps with their boat name custom stitched right on it. 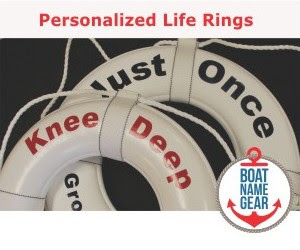 What makes BoatNameGear different from the myriad of other custom embroidery companies out there? First, all they do are Boat Names, so your order will be important to them - they are not worried about that next big "corporate" order. Second, there are no minimum order sizes and no set-up fees - which is unheard of when you are buying high quality, custom-embroidered shirts and hats like these. Third, they have their own line of premium stitched Captain and First Mate shirts - Perfect gifts for all your boater friends - even if you don't know their boat's name! Lastly, you know you can trust them because they are part of the FirstBoat family of NauticalSites. Over 100 people including passengers and crew were rescued overnight after their cruise ship apparently hit an iceberg in the Antarctic and started sinking. The people had all escaped to lifeboats, and waited while a Norwegian passenger boat in the area arrived to pick them up. The ship, listing in the first photo (Chile Air Force/AP Photo), may end up sinking to the bottom of the ocean. Luckily all lives were saved. Kudos to the brave crew for keeping cool during the accident. As of this posting, I have not found any reports that state how long the evacuees were in the lifeboats, but it looks like it was not much longer than a couple of hours. That would be a couple of hours too long for my liking, especially if you imagine yourself drifting in one of the lifeboats (as pictured below / AP photo) in that brutal cold.